Anna Sanchez started working with Wells Fargo because she knew her career would go further there. And it has – but Wells Fargo has also been one of the only work places where she can comfortably be open about her sexuality, and that’s one of the reasons she says she’ll never work anywhere else. Sanchez began working with Wells Fargo 14 years ago, attracted to the bank because of the opportunities in business banking. There she received formal credit training and moved up quickly to become a manager of a team of business bankers. At first she kept quiet about her partner, Katrina Pruitt, because that’s what she had become used to. That wasn’t easy – there were occasions when spouses would be included in events, and she would find a male friend to stand in as a date. But Wells Fargo had, and continues to have, a culture of diversity inclusion, and Sanchez became gradually aware of it. She began to see the company roll out team member resource groups for minority demographics, and then she began to notice more and more team members who were openly LGBT. “The next time we had a situation where we brought spouses, I said ‘forget it, I’m bringing Kat,’” Sanchez said. “Let’s see if they walk the walk. And nobody batted an eyelash. The fear I had was for nothing. It was gradual: I started taking Kat to galas, and people would just get it. Sanchez and Pruitt have known each other since they were in their 20’s, and have been a couple for 15 years. Pruitt is a SWAT lieutenant with the Austin Police Department, a job that Sanchez jokes makes her own line of work seem pretty boring in comparison. 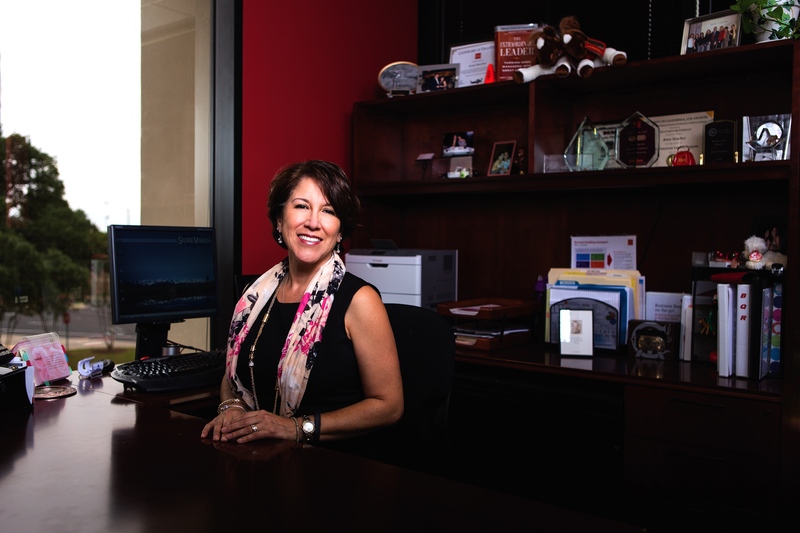 Having a culture of diversity at Wells Fargo doesn’t just make for a more comfortable environment, Sanchez said, it leads to more productivity. When team members from all walks of life are allowed to bring their whole selves to work, she said, there’s better focus and attendance. Sanchez is holding out hope that more businesses will move in the direction Wells Fargo has been going, not just in Austin, but throughout Texas. She and Pruitt would like to get married, and Pruitt wants to do it in Texas. So for now, they’re waiting and encouraging people who also want things to change to vote and make their voices heard.